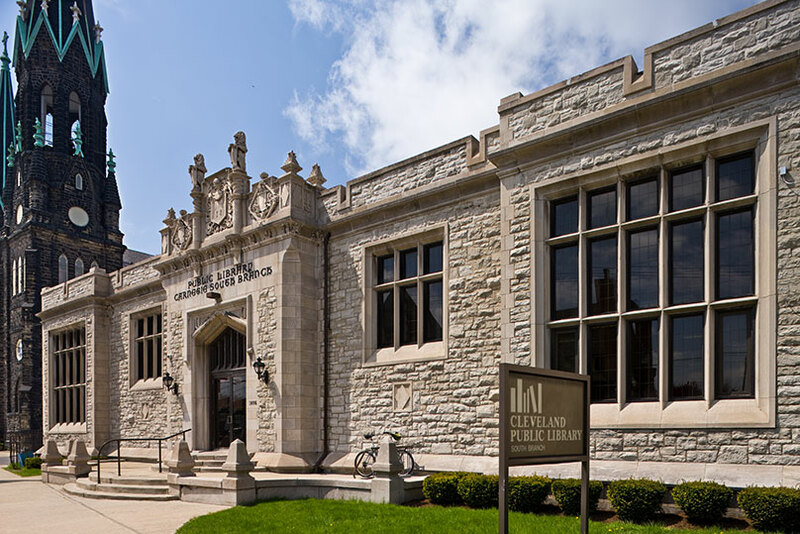 On December 1, residents of Tremont and Clark-Fulton will reclaim a beloved neighborhood institution when Cleveland Public Library’s South Branch, located at 3096 Scranton Road, officially reopens and resumes library services after years of restoration efforts. The South Branch building’s history stretches back to 1911, when it was constructed with funds gifted by Andrew Carnegie. The building’s stone exterior and striking façade, combined with its interior woodwork, built-in shelving, skylight and fireplace, made South Branch an attractive, distinctive facility that was much beloved by its community. After more than a century of use, however, the building suffered structural and mechanical failures. 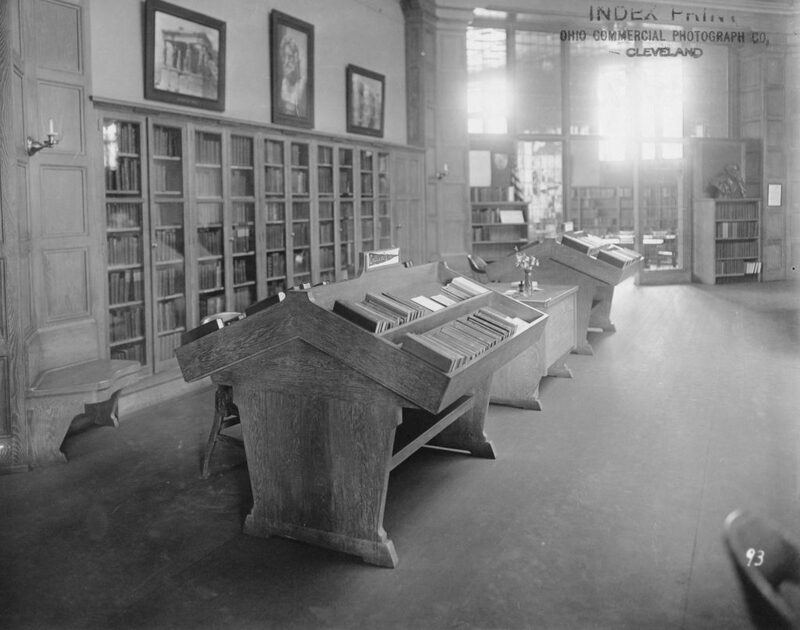 In 2013, Cleveland Public Library was compelled to close the building and temporarily relocate the branch to 2704 Clark Avenue. In the years that followed, the Library invited community input regarding the future of South Branch. After embarking on an extensive process to consider how to best serve this community, the Library’s Board of Trustees resolved to preserve, restore, and update the historic South Branch building rather than build a new branch, a decision many residents celebrated. Clark Avenue ADA-compliant second entrance. The stone façade at the original entrance on Scranton Road has been preserved, and a new addition extending to Clark Avenue offers a second entrance that will be fully ADA-compliant. Inside, the beautiful woodwork and wooden perimeter shelving were retained and restored, along with the original fireplace and a restored skylight feature. 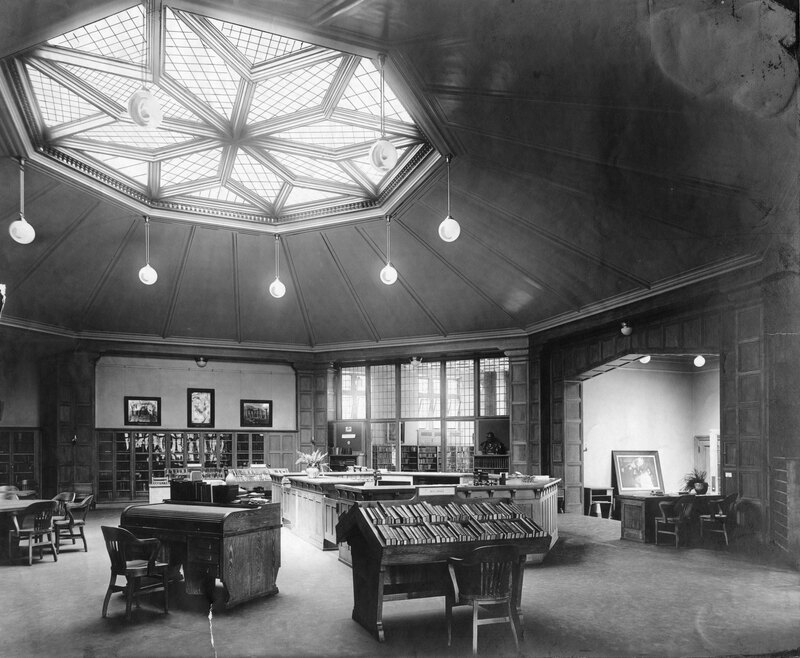 The branch will be expanded and updated to include quiet study rooms, separate areas for teens and children, a sound studio, fully accessible restrooms, and a computer bar located at the historic Carnegie desk. A new, larger meeting space with a capacity for fifty people will be a particular asset to the neighborhood, and an option for after-hours access means community groups may use this space outside of the library’s standard operating hours. HBM Architects led the design and restoration process. Community members applauded efforts to preserve the character of the original structure while updating and improving its facilities. “I am so excited that the Cleveland Public Library board and staff supported restoring and renovating our historic Carnegie South Branch library,” says Sandy Smith, a Tremont resident and member of the South Branch Advisory Committee. She praised the renovation work and suggested the restored branch could play a role in unifying the neighborhood. 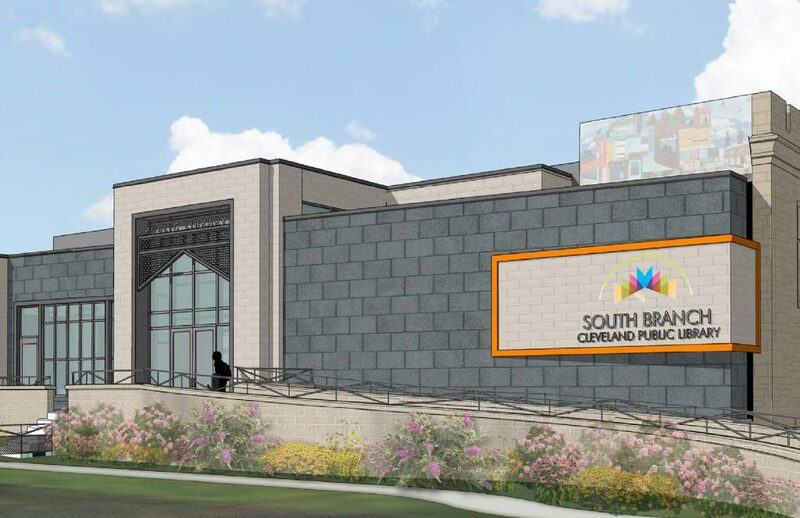 South Branch will reopen on Saturday, December 1 with a ribbon-cutting ceremony and celebration from 12:00 p.m. to 5:00 p.m. For more information, contact the branch at 216-623-7060 or email South.Branch@cpl.org.